​Erin Poppe of Franklin Lakes has only been Irish dancing for seven years and she's already among the best in the world. The 13-year-old became the Ridgewood Jig Factory's first World Champion last April, when she won the Cumann Rince Dea Mheasa (CRDM) World Championships for her age group in Dublin. In the past year alone, she placed second at the national competition Rince Tuatha Nua (RTN), second at the RTN New England Championships, and third at the RTN Mid Atlantic Championships. ​But dancing isn't just about winning for Poppe. "No matter what is going on in my life, when I dance it makes me feel so much better," said the teen, an eighth grader at Franklin Avenue Middle School. "My friends and teachers at the studio are the most supportive, kind, and loving people, and I am so thankful that dance has connected me to them." 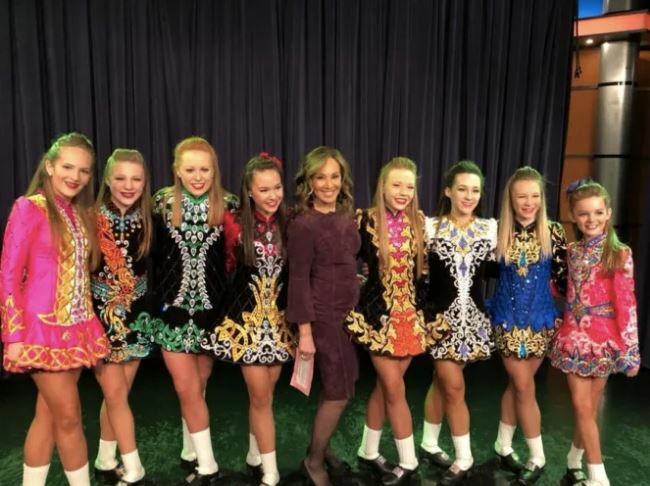 ​Irish dance has also connected Poppe to her heritage, taking her to Ireland and a step dancing summer camp in the Berkshires. She has performed at Lincoln Center, Carnegie Hall and on television shows including Wonderama and Good Day New York. ​Next month, Poppe will be traveling to Killarney, Ireland to compete in this year's World Championships. "I learn more about the culture and roots of my heritage everyday through dance," the dancer said. Poppe isn't sure whether or not she wants to pursue Irish dance as a career, but there's one thing she does know for sure: "I will continue to dance for a very long time."